What could well be among the most meaningful uses of photography has gone all but undocumented, but doctoral candidate and researcher Andi Gustavson is compiling AND sharing the humble objects in a remarkable new database. Gustavson has created THE PERSONAL PIN-UP PROJECT which is a remarkable way to collect, archive and share that most precious of photographs. The ones carried into war by loved ones. Andi is a P.H.D student at the University of Texas at Austin and a teacher of American Photography and visual culture. As she writes, "I am collecting the private photographs that service members carried or kept with them during their time in the military. These personal “pin-ups” can be snapshots of loved ones taken by the soldiers themselves or pictures of women or men who posed for the camera and then sent that snapshot off to war. I am looking for the photograph kept in the pocket, or worn in the helmet, or hidden in the gear of each service member. These images of loved ones do not often make their way into archives or art galleries. And yet, if most military members had one special photograph with them when they went away to war, then there must be thousands of these snapshots—in shoe boxes under beds, tucked into the back of closets, left in journals or letters, or stored on cellphones. The Personal Pin-up Project brings together the private images scattered across thousands of homes into a public and digital archive." 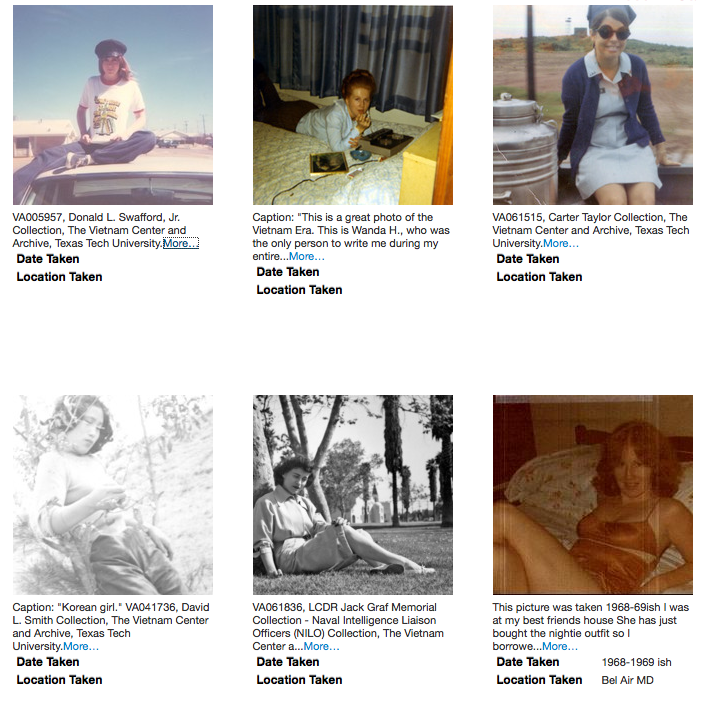 The Personal Pin-up Project is a public digital archive of the private images taken and kept by many American veterans and their loved ones. There is currently no archival repository to collect such a specific subset of war-related photographs that were, nevertheless, very common. It is also a practice not only never documented, it is the most profound and deep function of a photograph imaginable. An image of a loved one, miles away, preciously saved as a reminder, a talisman, an object to be loved, shared and treasured. What more important function can a humble picture have? 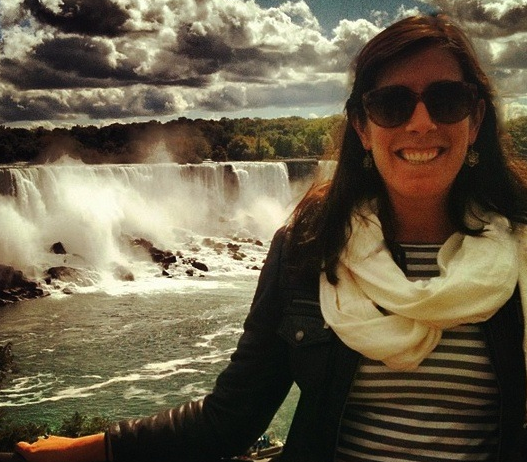 Ms. Gustavson has hit on a universal truth and heart-wrenching practice previously ignored. She has the site up and running. It allows anyone to upload a photograph of their loved one as a tribute and an honor. The person who they carried with them during the most difficult and testing challenges they would ever face. It is fair to say every single soldier, regardless of gender or rank, had a precious image they carried. While Andi's emphasis is on Cold War images, she recognizes that with digital technology, the intimate and personal pictures may have changed form, but their purpose remains the same: a small bit of humanity in the least human situations. Take a moment to browse the website Andi Gustavson has created which allows participation from any soldier or veteran. The project is just getting off the ground, but it offers a splendid opportunity for anyone to create a tribute to their loved ones who helped them survive the unfortunate brutality of war. You may wish to share the links with family members.